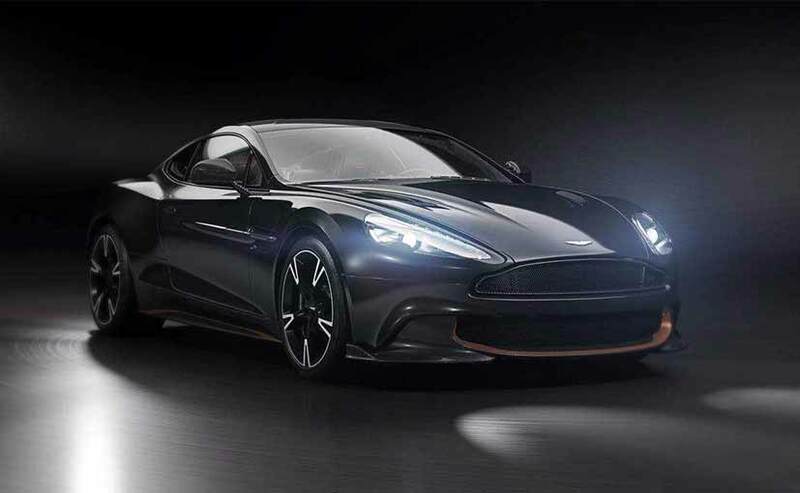 As the Aston Martin Vanquish enters the final phase of its production life, the company has created a special model to bid a farewell and what a swan song it is. It’s called the Vanquish S Ultimate and like the regular Vanquish S, the Ultimate edition is powered by Aston Martin’s naturally-aspirated 6.0-litre V12. With 595bhp and an 8-speed Touchtronic III automatic transmission, there’s a lot to expect in terms of driving dynamics and a sonorous sound track coming out of that exhaust. Aston Martin will build only 175 units of the Ultimate edition and it will be available in Coupe or Volante form and is available in a choice of three exterior colour. In addition to the specially created colour and trim packages there are a suite of details that are also unique to the Vanquish S Ultimate. These include carbon fibre side strakes featuring rose gold ‘Ultimate‘ decals, carbon fibre treadplates and an ‘Ultimate’ sill plaque, a special stitched quilting design on the seats, plus ‘Ultimate’ headrest embroidery. The first of these Designer Themes is a monochrome design that mates Ultimate Black paintwork – a nod to the first generation Vanquish S Ultimate Edition, for which this colour was first created – with Copper Bronze graphics around the front air intake, along the side sills and on the rear diffuser. Detailing includes black exhaust tailpipes, brake calipers, window trims and 5-spoke wheels, plus extensive use of carbon fibre for the bonnet louvres, front grille and side strakes. The interior features Obsidian Black leather with Chestnut Tan accents and stitching and carbon fibre twill fascia. The third of the Designer Themes consists of cool White Gold paintwork and warm Bronze graphics working brilliantly with gloss black and carbon fibre exterior detailing. Chestnut Tan leather with Obsidian Black accents puts a contemporary twist on a traditional colour combination, while the spectacular cuprum carbon fibre fascia is a visual delight. In addition to the Designer Themes, customers can elect to combine any exterior scheme and interior package as a no-cost option.